Rabada hails from a family of accomplished professionals with father Mpho being a doctor and mother Florence working in asset management. "Yes, support plays a big role. I have been blessed in some sense to get opportunities and be able to thrive in my talent. So I feel fortunate because a lot of kids don't get that kind of support," Rabada told PTI during an exclusive interview. Born-Frees are those coming into existence after the fall of apartheid. Rabada said that his parents, as young Black Africans, had their share of struggles while they tried to settle down in their professional lives but ensured that he got the best of everything. "I am glad for everything my parents have done for me, because in the apartheid era, they did not have it easy at all," he said. It is his desire to make a difference that encouraged him to form a foundation to help the underprivileged children. "Now I have the opportunity to give back and help the less fortunate through my foundation, it's coming along nicely. It's based around cricket but also branch into other sports and education in the future." Opportunities have not been a problem for Rabada, who counts his blessings, perhaps the biggest reason why he considers representing the 'Rainbow Nation' paramount at a time when there is always the lure for better financial reward. He can avail the KOLPAK deals like some of his teammates. Some of the better South African pacers like Kyle Abbott in 2017 and the much recently Duanne Oliver have availed KOLPAK deals in English county cricket. The deal allows persons from countries sharing free trade with European Union nations to work as professional. The South African team has been affected by these defections but Rabada termed it an individual choice. "Kolpak is a touchy issue. I believe people are entitled to their choices of course. For me, playing for the country is a big deal and an opportunity always to give my best," the South African made his priorities clear. The 23-year-old Rabada, along with India's Jasprit Bumrah, are touted as pacers who will rule world cricket in the coming years. "Well, that's a compliment surely," said the soft-spoken man while refusing to be drawn into the debate as to who is better among the two of them. "I don't know who is the best because all teams at the moment have good fast bowling units, which is also a big reason why I think the World Cup in England will be an interesting one." His yorker in the Super Over to castle Andre Russell is easily the most talked-about delivery in the Indian Premier League. Asked if Waqar Younis or Allan Donald has been his inspiration, Rabada said that he is self-taught. "I didn't look up to anybody on bowling yorkers when I was just growing up. I just learnt it along the way. It's not like I got inspired. I just thought it was a good ball to bowl." Delhi Capitals, as well as the erstwhile Delhi Daredevils, have struggled and Rabada points it to inability of finishing close games. "I feel that the team is very young. I think it's just the finishing off games that we are lacking in and identifying key moments to make sure we ensure victory. When I came for my first IPL, that was always the case, always so close, yet could not put the final nail in the coffin," Rabada lamented. "Much of the same has happened this year in a couple of years. But the players are getting older,and getting more experience like Shreyas, Rishabh, me. We have all played international cricket too and that helps. So we are slowly getting there, and the important thing is to learn from each game." 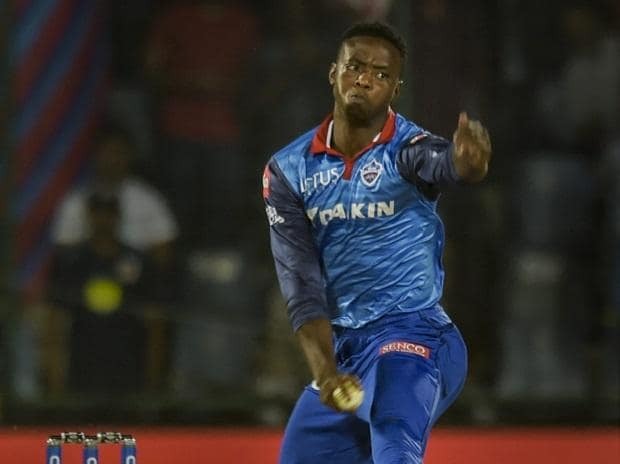 Rabada found the defeat against Kings XI Punjab "extremely frustrating" as Delhi lost seven wickets for eight runs while chasing a modest total. "It is frustrating, especially this year, because we have been coasting it and then out of nowhere we just lose it. But what can you do? We have to talk the hard truths amongst us and really need to just win. You can talk a lot, but you got to incorporate that stuff when you play.